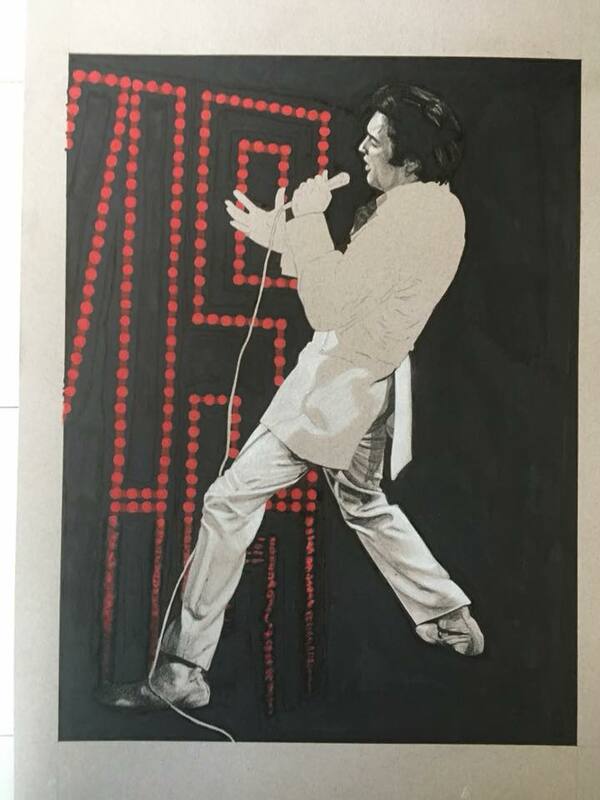 Another ’68 Comeback special, this time the “White If I can dream” suit. 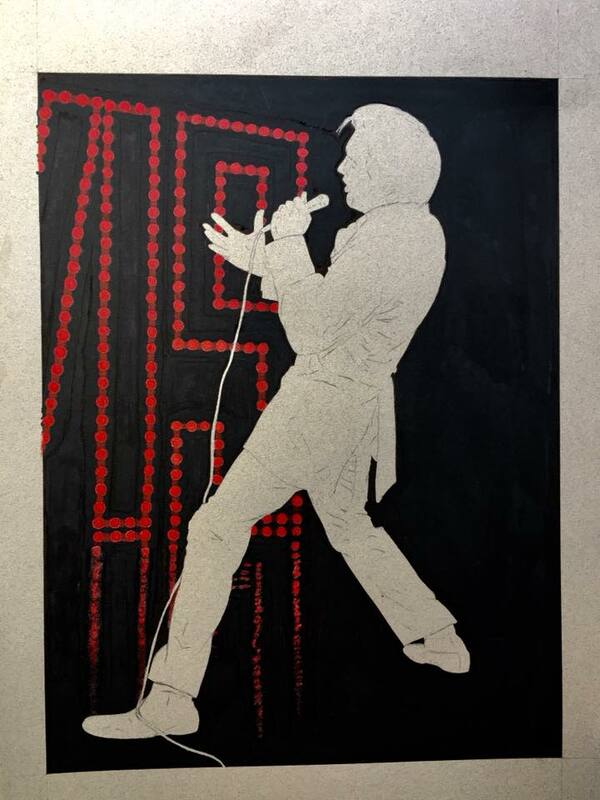 To make it a bit more interesting I added the red Elvis lights in the background. 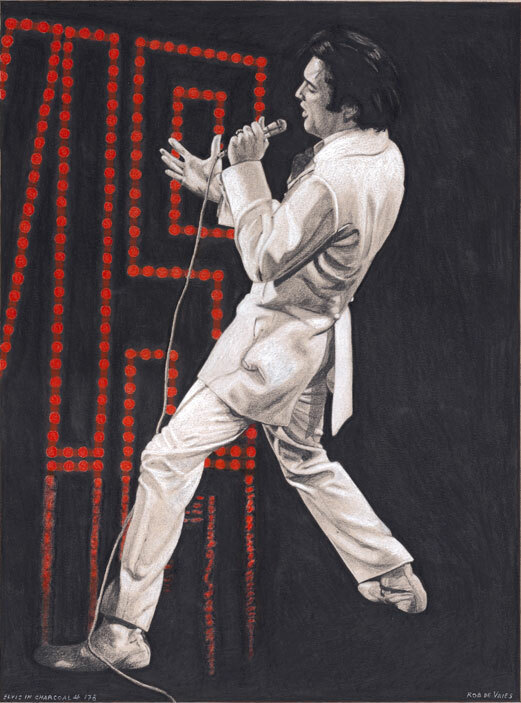 This drawing was already sold before it was finished to an Elvis fan in the USA. 40 x 30 cm, 2018.